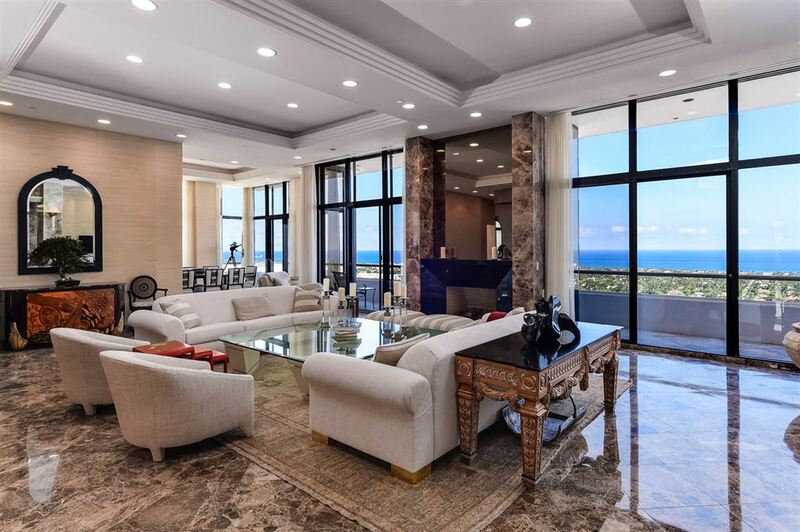 Nothing says luxury in West Palm Beach like The Trump Plaza - a luxury high-rise condo on the West Palm Beach waterfront developed by none other than Donald Trump, with its breathtaking water views and vibrant city views. Within the twin 32-story towers you will find 2, 3, 4, and 5 bedroom condos. The average condo is between 2,000 and 2,800 square feet of living space, but many owners have purchased and merged multiple units together. Each condominium home in Trump Plaza features views to both the east and west. 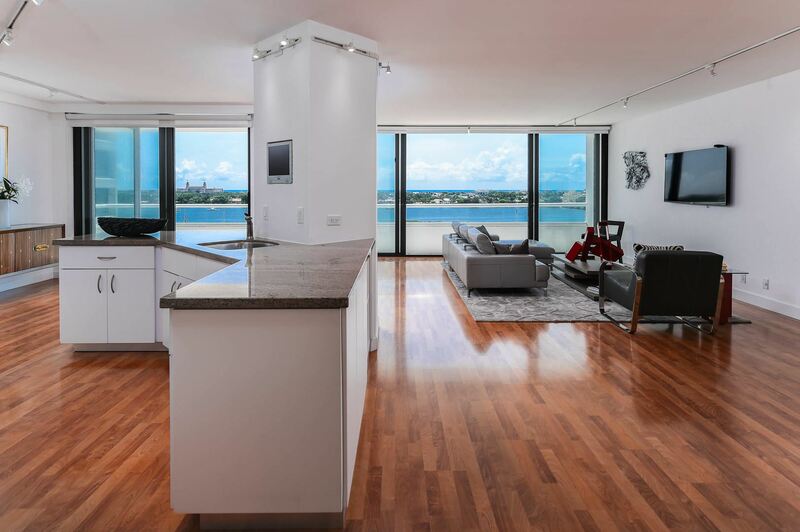 Spacious balconies can be found in each condo offering Intracoastal and ocean views. Interior finishes are nothing short of sensational. Penthouse and townhouse condos are also available. 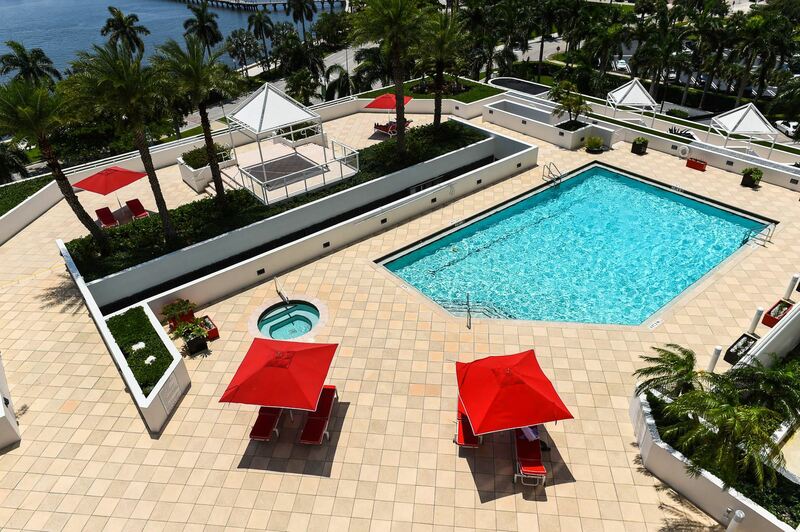 Amenities at Trump Plaza in West Palm Beach include a doorman, sparkling pool, game room, tennis courts, picnic area, community patio, fitness center and sauna. The Trump Plaza residences are just two per floor, offering semi-private elevator service. If you are searching for ultra-luxury waterfront condos in West Palm Beach, Trump Plaza is one of your best options. Built in 1985, The Trump Plaza has created a reputation of one of the most prestigious places to live in Southern Florida.